Impressive yet powerful! Launched on an Estes C6-5 engine, the Crossbow SST can reach awesome heights of 1600 ft. 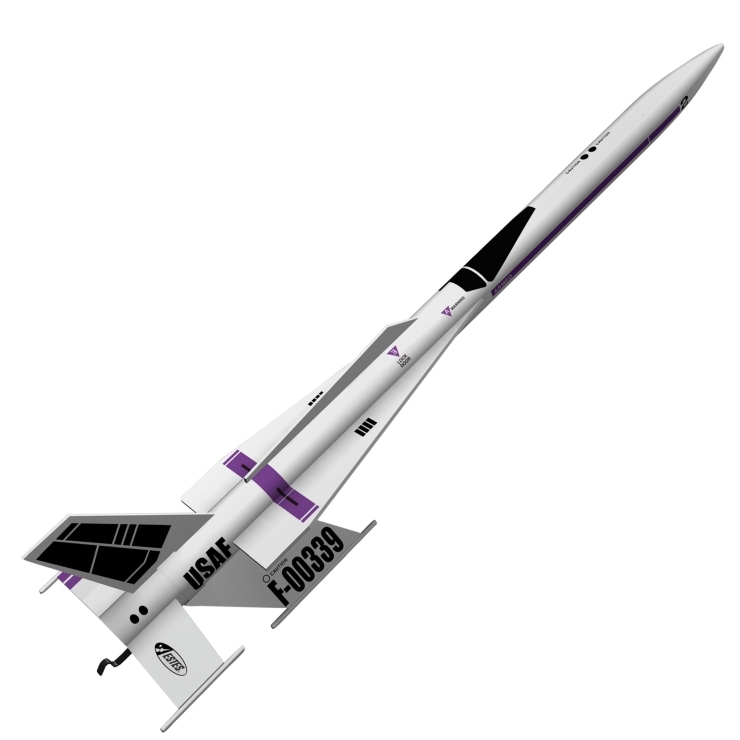 Modeled after the Satellite Interceptor, this rocket is sure to be a hit! Unless otherwise specified, all models require assembly. Tools, construction and finishing supplies sold separately. In order to launch, a launch system, model rocket engines, igniters and recovery wadding are required – sold separately-unless otherwise specified.